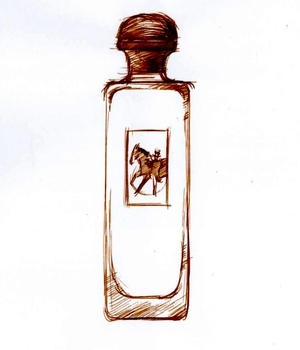 Equipage is such a classic perfume that it’s tempting to ask why anyone would mess with it, but that’s a bit like wondering why anyone would want to reinterpret the Beatles’ original version of Yesterday. 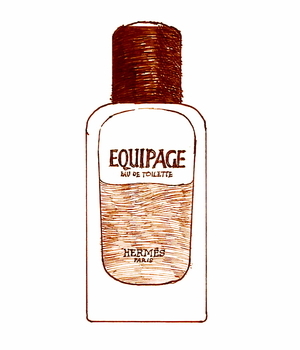 Created by the perfumer Guy Robert and launched in 1970, Equipage was the first Hermès perfume to be designed specifically for men, and Robert composed a rich, subtly spicy scent which includes – among many other things – bergamot orange, jasmine, lily of the valley and clove-scented carnations. Forty-five years on, the company’s in-house perfumer, Jean-Claude Ellena, has revisited three of its classics, in each case pairing them with a new ingredient. First came Bel Ami Vétiver, followed by Rose Amazone, and now we have his updated version of Equipage – Equipage Géranium. If Ellena’s attempt to give Equipage a modern twist isn’t (to my nose at least) entirely successful, his choice of geranium (or pelargonium, to be botanically correct) as a new ingredient is a typically clever and imaginative one. Though the leaves of different species of pelargonium smell of everything from lemon to cinnamon, most of the so-called geranium oil used in perfumery comes from a single South African species, Pelargonium graveolens. As with all natural ingredients, geranium oil comes in a range of different grades, but they generally share a fresh, slightly sharp smell that’s usually described as both fruity and minty, often with a hint of rose. I’m guessing that it was the fresh, minty element of geranium oil that appealed to Jean-Claude Ellena, and Equipage Géranium does smell a tiny bit fresher and sharper than the original Equipage – but it’s a subtle twist rather than a radical reinvention. I’m not sure it’s sufficiently different to make it worth choosing over the original, but unlike many of Ellena’s perfumes, which are always refined but sometimes stripped down until they’re slightly colourless, Equipage Géranium retains all the richness and complexity of its inspiration. Given the crude simplicity of so many modern scents, that’s a quality to be celebrated.